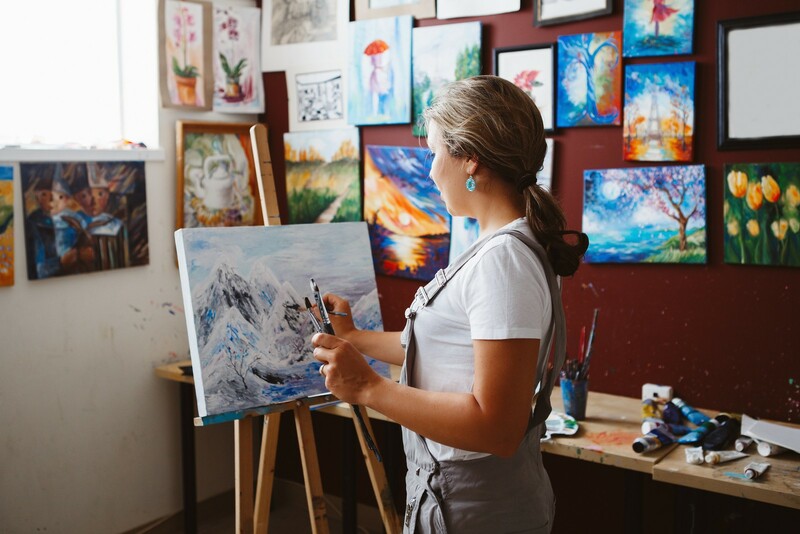 Starting a creative business can be a daunting prospect, but do not let that stifle your idea. Creative people have a lot to offer, and if you go about starting your business in the right way you will be on the road to success. Whether you’re selling iron-on patches like this website, creating your own artwork on commission or selling your crafty creations via Etsy, there are certain steps that you must follow if you want to be successful. Here are the most important things you must do. If you have a talent for something, now is the time to use it. Before you start, look at other business that are creating something similar and discover how you can make your product a little different. Find their mistakes and do not make the same ones. You do not have to follow the latest trends or make your product the same as everyone else’s. There are literally millions of online businesses and you want yours to stand out as something special. You know where your talent lies and you should focus on that, don’t try to do everything else yourself. Here’s how to find your niche for your business. Create a plan of where you see your business heading. Sometimes, putting pen to paper can show up things you had not considered, so be prepared to change your plan if you need to. This will give you’re a clearer vision of what lies ahead, and which parts of the business you may need help in. Recognizing your weaknesses and strengths is important. For Instance, if administration is not your forte, get someone else to do it for you. Bookkeeping and accounting is a vital part of any business, and you may need help with these areas. You do not have to employ people to get the assistance you need, although it is great if your business does so well that you can. To start with, use freelancers who you will only pay for the work they do and that will help to keep the costs down. How to create a business plan that works for you. Talk to other people that also have a creative business. You may be surprised that even though they are competitors, how willing they will be to tell you about the pitfalls they encountered and they may have some good ideas that could be useful. In doing this, do not tell them your ideas. You need to protect your vision but chatting with others can be done on a general basis. You do not need to give your secrets away. If your business is going to be online only, engage in as many social media platforms as you can. Over 2 billion people a day log into social media accounts, and that is a lot of potential audience for your product. Replying to posts and keeping up to date can be very time consuming, but it is basically free advertising and can be well worth the effort. Never be negative, even if someone is complaining. Reply truthfully but in a positive manner and you will build trust in your business. You cannot afford to ignore posts though, good or bad. As soon as you start doing that, viewers will look elsewhere as they will think you have stopped trading. Remember, that being a digital business the whole world is your potential customer base, so be prepared for queries from other countries as well as the US. Find out information about shipping costs to other parts of the planet, and make sure you charge the extra or you could find yourself making a loss. Why you need to consider a data-driven approach to social media marketing in today’s business environment. Don’t expect to be an overnight success. It is great if that happens, but it is very rare. Be ready for it to take time for the business to get off the ground and to be as successful as you want. You will encounter challenges and problems along the way. Don’t give up though, find the answers to solve the problems and you will find that each challenge beaten makes your business stronger. Hopefully, if your creative business is built around a talent you have, you are enjoying what you are doing. If you are not you perhaps need to look at what is taking the fun away. Could it be the pressure of being a boss? Do you just want to create your product and nothing else? This is often the case with creative people but you need to remember that with any business there are good and not so nice things that have to be done. Make sure you make the most of the enjoyment from creating, and then the other things will not seem so bad. You are in business to make a profit, it just happens to be with something you enjoy doing. You must never forget that that is the point of being in business though, and make sure you have your prices right. You need to consider the cost of any materials needed to produce the goods, and all the expenses involved. That is lower if your business is online only, but the overheads are still there and need to be paid. You may have hosting costs for your website, freelancers to pay to help with some of the work that you cannot do, stationery, computer supplies and so many other things you possibly have not considered. Before deciding on a price for your product, you need to work out what all of these things will be so that your price is set at the right level. Do not estimate any of the expenses, as you could be way off. If you are unsure how to go about this seek professional help. That may seem like an unnecessary expense, but in the long run, it could mean the difference between success and failure. It needs to be right from the start, as nothing will put people off buying more than a sudden hike in the price that they cannot see a reason for. This is how you can boost your business profit starting today. All that needs to be done now is for you to get started on putting your business idea together. Too many people have a brilliant vision for a business but never put it into practice. Don’t be one of those, just get started now.